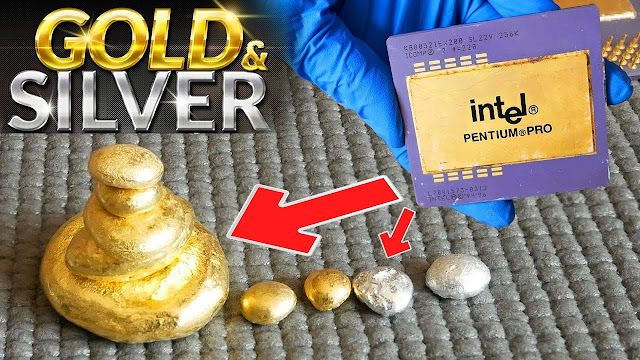 Gold extraction process: Gold from ic chip computer PC scrap old electronics equipment for recycle | You may find mine gold. Gold from ic chip computer PC scrap old electronics equipment for recycle | You may find mine gold. Today I found an old computer motherboard. It is attractive with 1pcs IC Chip, gold plated pins and inside has many gold wire bonding die chip lots of. Keep in mind that outdated electronics are likelier to produce parts with a high enough level of gold to make the procedure worthwhile for recycle gold from computer PC scrap and electronics equipment. You may find mine gold from old electronics In your home. 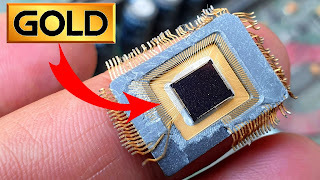 You will see that the inside of the electronic device has gold that is hidden inside.